At the North Providence Police Department we pride ourselves on the exceptional level of service that we provide to the community. We recognize that building and maintaining trust is the cornerstone of successful policing and law enforcement. Public input is extremely important to our ongoing evaluation process and allows us to ensure our services are meeting all of the needs of our community. Please review our formal procedures on how to compliment or file a complaint on an employee. 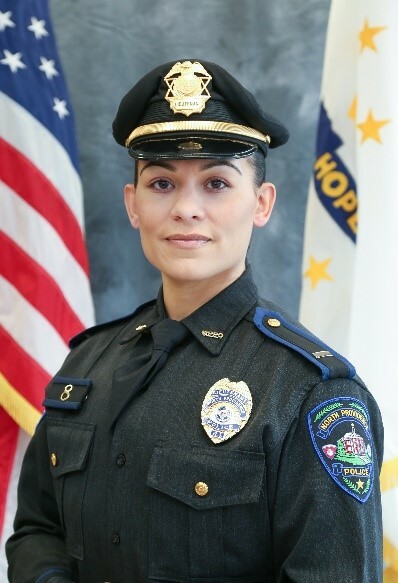 Many times, members of the North Providence Police Department go “above and beyond” what is usually expected of them during their normal tour of duty. As a result of these actions, the Chief of Police may issue commendations or letters of recognition to these employees for their dedication to duty and exemplifying the high standards of the North Providence Police Department. To commend or compliment the exceptional performance of a North Providence Police Department employee please complete and submit a Commendation and Complaint Form. The primary function of the Office of Professional Standards is to ensure the integrity of the North Providence Police Department and its personnel through a comprehensive and objective process of investigating allegations of employee misconduct in a fair and unbiased manner. When complaints are received, the complaint will be evaluated, and depending on the circumstances, either investigated by the Office of Professional Standards or routed to the appropriate supervisor in order to resolve the conflict. Individuals wishing to initiate a misconduct complaint may do so by completing and submitting a Commendation and Complaint Form. Please do not hesitate to contact the Office of Professional Standards directly should you have a question or concern not addressed in the Commendation/Complaint procedure form. The North Providence Police Department is in the process of reviewing, examining and assessing our rules, regulations, policies and procedures to ensure that they are in compliance with the most current professional standards. Our goal in this evaluation process is to attain state and/or national accreditation by January 1, 2019. We strive to be the best in partnership and collaboration with our community.